If you like shredded memory foam filling and super soft pillow covers, you will truly love either of these pillows. There are many similarities between the Coop Home Goods and the Good Life Essentials pillows but one major difference stands between them. So, what is it? Read on for our full comparison to find out. 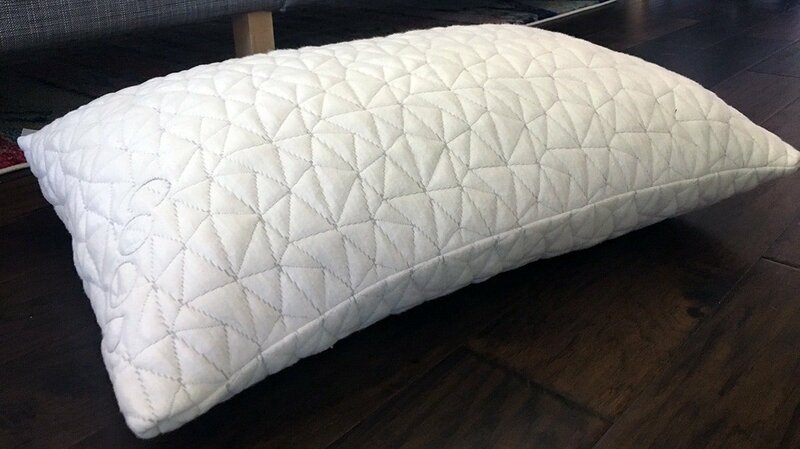 Check out the complete Coop Home Goods Adjustable pillow review, here. 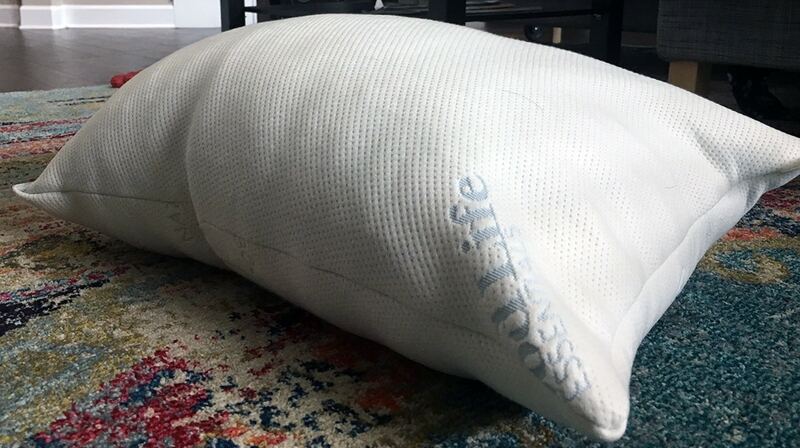 See the complete Good Life Essentials pillow review, here. You have broad shoulders or a larger frame. One thing you’ll probably notice with the Coop Home Goods pillow (once it’s fully fluffed) is its large and overstuffed feel. This can be great for individuals who need a significant pillow to provide support. You sleep in all positions. The major difference in these pillows is that, with Coop Home Goods, you can add/remove as much of the filling as you want. Therefore, it’s a good fit for all sleep types – you just need to take some time to find the right loft for you ideal neck/spine alignment. You are a side sleeper. The pillow has a 6″ height profile, which may create too much of an angle for your neck if you’re trying to sleep on your side or stomach. The pillow will flatten out over time but the chunks of foam provide enough support to make it a good fit for side sleepers over other positions. Your budget is limited. 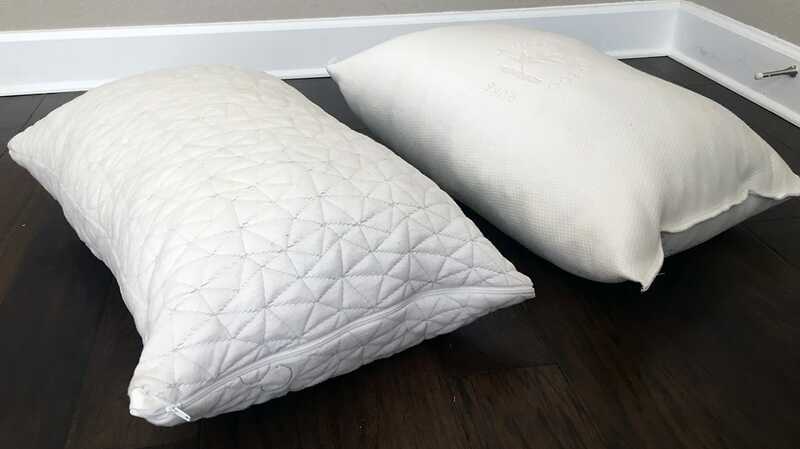 Although the pillows aren’t drastically different in price, the Good Life Essentials pillow is a little less expensive, around $20 less for a Queen than the Coop Home Goods pillow. You don’t mind a little maintenance. Based on my experience, both pillows will lose a little bit of their loft/start to fall flat after several nights of sleep. It can be easily remedied by throwing each pillow in the dryer for 15 minutes and letting the foam filling expand. You’d probably need to consider doing this at least once a week with either pillow to help it maintain its full shape. You love the soft feeling of fabric made of bamboo (or rayon from bamboo). While they have different textures, both pillow covers are a soft combination of rayon/viscose from Bamboo and polyester. This also helps promote breathability within the pillow. From the bamboo/polyester blend cover to the shredded foam filling, these pillows really have a lot in common. 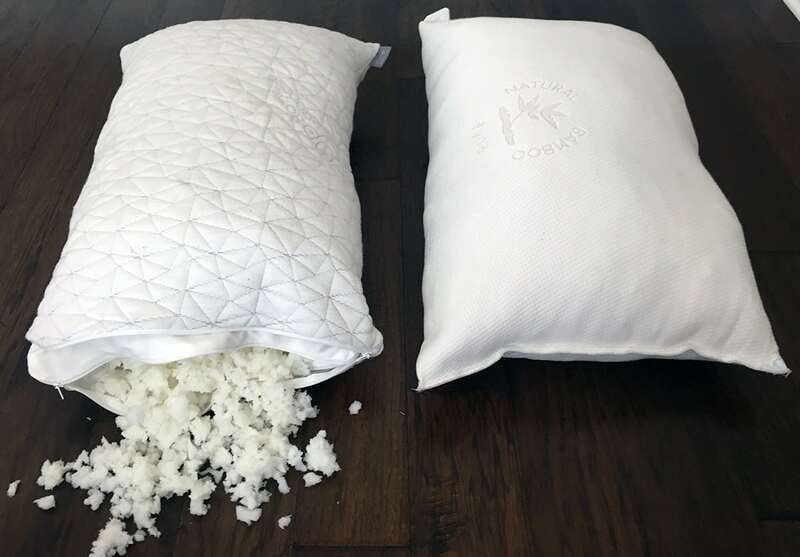 The biggest difference is that the Coop Home Goods pillow is an adjustable shredded pillow. This means you can take out (or add back in) as much of the filling as you’d like. And it comes overstuffed. This makes it a great pillow for larger framed individuals (when completely full) but would really work for any sleep positions since you can decide how much filling is inside your pillow. 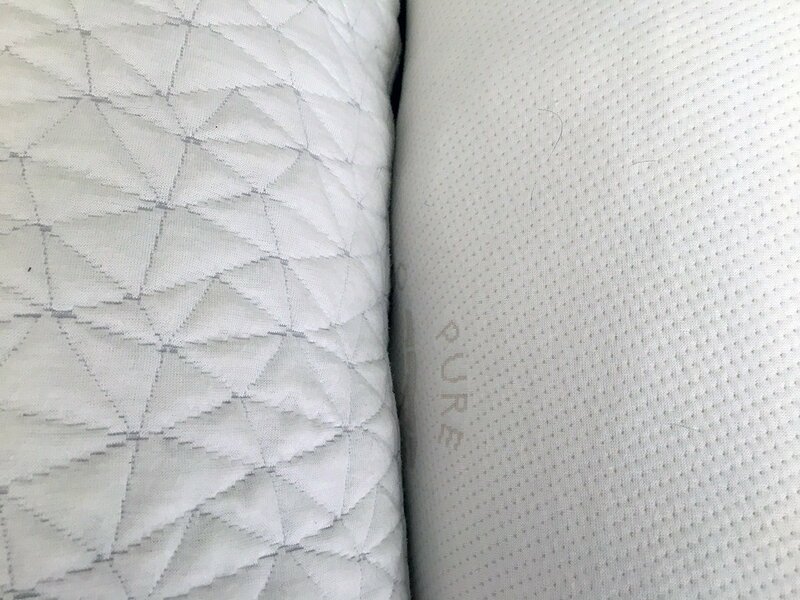 Based on my experience, the fullness of the Good Life Essentials pillow lends itself to side sleeping with its higher profile and support from the chunks of foam. They both come with 30 -day trial periods and are reasonably priced (with Good Life Essentials being slightly more affordable).